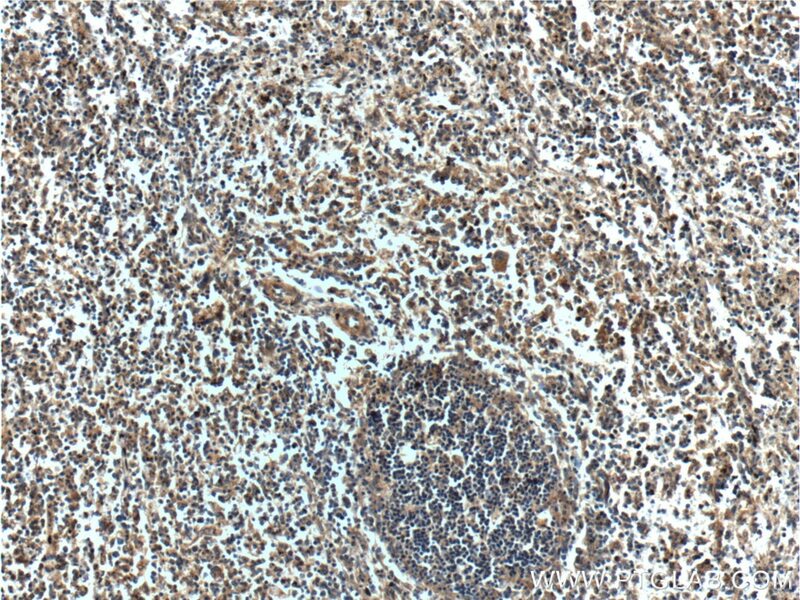 Immunohistochemical analysis of paraffin-embedded human spleen tissue slide using 19970-1-AP( MAP3K1 Antibody) at dilution of 1:200 (under 10x lens). 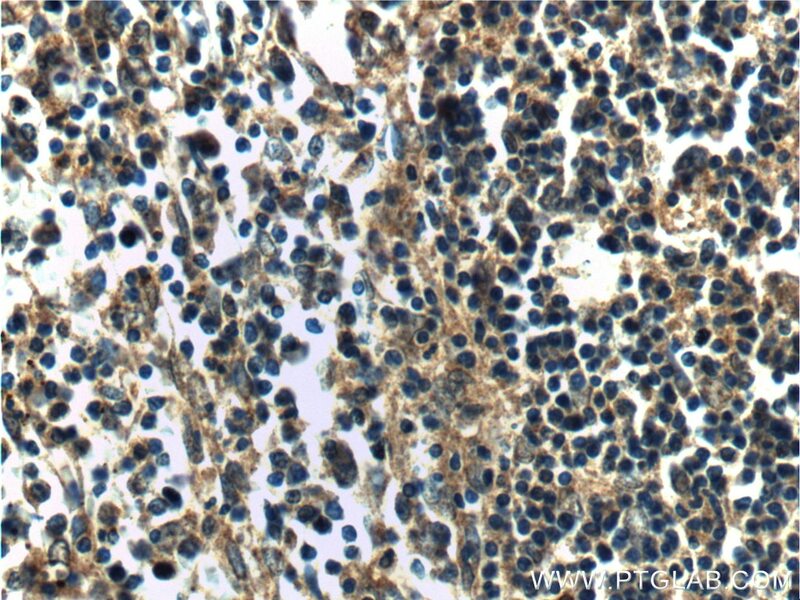 Immunohistochemical analysis of paraffin-embedded human spleen tissue slide using 19970-1-AP( MAP3K1 Antibody) at dilution of 1:200 (under 40x lens). MAP3K1, also named as MAPKKK1, MEKK and MEKK1, belongs to the protein kinase superfamily, STE Ser/Thr protein kinase family and MAP kinase kinase kinase subfamily. MAP3K1 is a component of a protein kinase signal transduction cascade. MAP3K1 activates the ERK and JNK kinase pathways by phosphorylation of MAP2K1 and MAP2K4. It activates CHUK and IKBKB, the central protein kinases of the NF-kappa-B pathway. It catalyzes the reaction: ATP + a protein = ADP + a phosphoprotein. 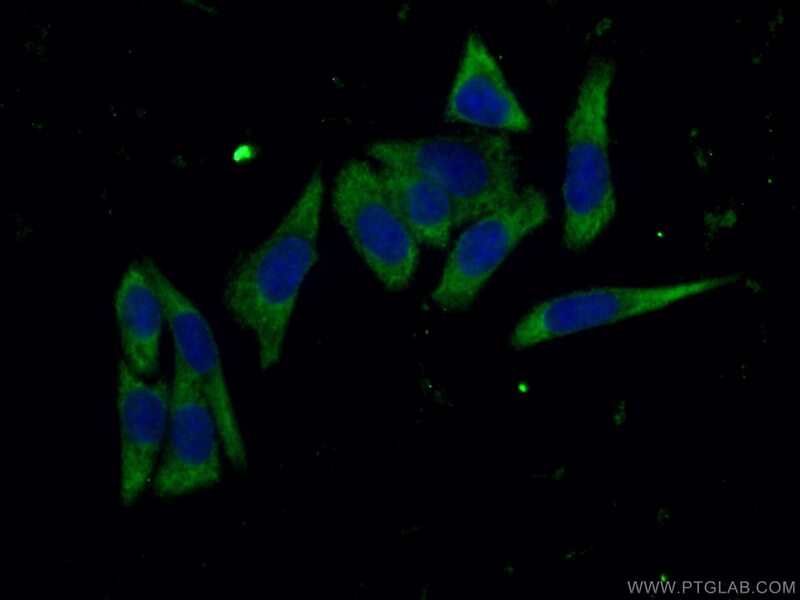 The antibody recognizes the N-term of MAP3K1. Xihuang pill promotes apoptosis of Treg cells in the tumor microenvironment in 4T1 mouse breast cancer by upregulating MEKK1/SEK1/JNK1/AP-1 pathway. USP4 deficiency exacerbates hepatic ischaemia/reperfusion injury via TAK1 signalling.